While we over here in the US await the official launch date of the ASUS Chromebook C434 from Amazon, it appears that a quick trip across the Atlantic not only gives potential buyers an availability date of right here, right now, but also ads in double the storage to boot. For a short time the C434 was available from ASUS directly, but they’ve either sold out of it already or put a halt on sales until the April 5th date showing at Amazon currently. I guess we shouldn’t be too upset, right? We Americans tend to get Chromebooks in higher volume, greater selection, and at lower prices than other countries. It would seem, however, that the best deal will be headed to the UK on the newest offering from ASUS for the time being. Not only can we still not order the ASUS C434 here in the US from Amazon until April 5th, we don’t get an option with upgraded storage, either. Equally interesting is the spec sheet listing for RAM included with the UK model. In the US listing on Amazon, it simply says 4GB. On the UK listing, however, the title says 4GB but the spec sheet oddly states “maximum memory supported: 8GB” as well. I don’t assume this model will be upgradeable, but it does make me feel hopeful that a Core m3/8GB/128GB version is in the works. I’m selfishly hopeful that we get that option here in the States as well and that it doesn’t reside only in the UK market along with the lone 8GB HP x2 option. ASUS made it pretty clear that multiple configurations would eventually become available, and I think the Core m3/8GB/128GB version will be an incredibly attractive package if/when it becomes available. 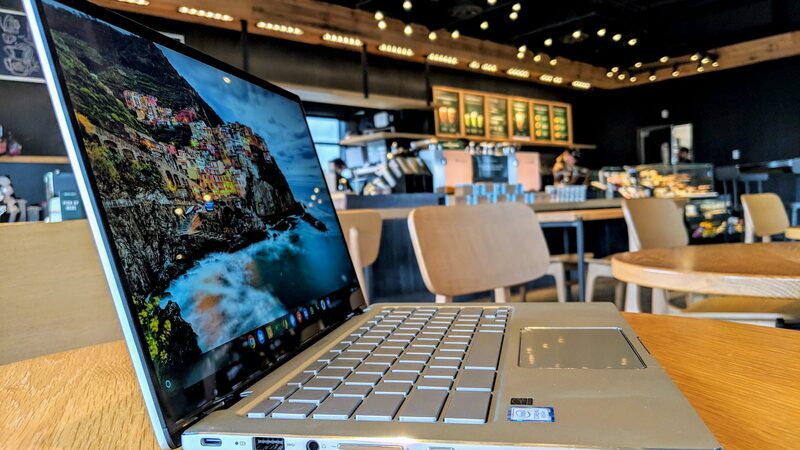 Regardless, it looks like those of you living in the UK can order this really great Chromebook (I’m revieiwing it right now and, spoiler alert, it is really good!) right now and expect delivery within days. Currently, the ASUS UK store has no listing and no clues as to when it will have the device ready to go directly from ASUS, but that shouldn’t stop you from snagging one of these from Amazon!